Last year was a record-breaking year for business angel investment in Ireland, with €13.6 million invested in 50 early-phase businesses. Those investments leveraged a further €20.5 million from other public and private funds, bringing the total invested to €34.1 million. Since 2007, HBAN angels have invested €73 million in 362 separate deals. When the €113 million invested by other funds in those deals is added, this is an overall total of €186 million invested in Irish start-ups in the last 10 years. 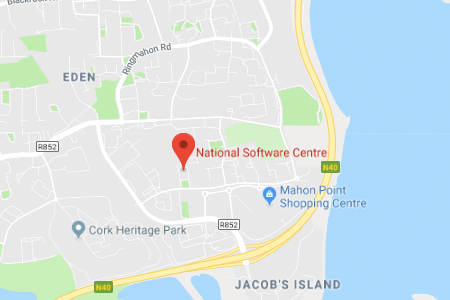 CorkBIC manages the HBAN network in the Southwest and Midwest regions of Ireland. CorkBIC works with HBAN (Halo Business Angel Network), local and international VC's, Enterprise Ireland and Business Angel Syndicates to ensure that each Entrepreneur has access to a wide range of funding sources. 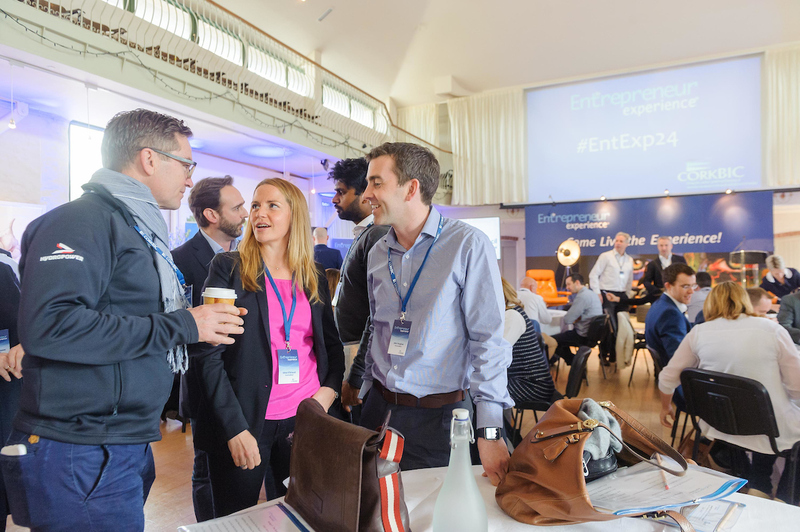 Pictured above at the 2017 Entrepreneur Experience® is Johnny Walker, Health Founders chatting to Olive O'Driscoll & John Vaughan from Aventamed who recently completed a second round of funding totaling €1.8m. HBAN, a joint initiative of InterTradeIreland and Enterprise Ireland, expects that businesses operating in a number of key industries stand to gain from the predicted cash injection over the next five years. They will include companies working in the fields of innovative and globally scalable technology, ICT, enterprise software, medtech, food and beverages, fintech and agritech. Earlier this year HBAN (Halo Business Angel Network) announced its five-year business angel outlook that predicts business angels will invest €85 million in 264 high potential startups in the period running 2017 to year-end 2021. It will mark a 79% increase in investment over the previous five years, which saw €47.4 million invested in 244 companies.